U.S. Soldiers have always had to endure a variety of nicknames. They were called ”Doughboy” during WW I and ”G.I.” in WW II. For the soldiers who served in the Vietnam War, the word Grunt was not just a nickname but also a commentary on their status in the hierarchy of war. To be a Grunt was to be in the Infantry. It meant leaping out of helicopters into landing zones under enemy fire, marching through grass taller than a man and as sharp as a knife or slogging across deep and muddy rivers, enduring endless marches up and down mountains, through jungles and into villages, looking for an enemy who was hard to find and sometimes even harder to fight, all the while being on the lookout for booby traps and ambushes. It meant suffering from heat, humidity, rain, and insects while straining under the burden of equipment, which could weigh as much as eighty pounds. Being a grunt may have been the least enviable and most underrated task of the Vietnam War. Grunts usually served a twelve-month tour in Vietnam. When they were in the field, they carried everything they needed on their backs; their weapons, ammunition, food, water, and medicine. They could be on patrol for extended periods and were occasionally resupplied by helicopters as they searched for the enemy, either Vietcong or NVA. When their tours in Vietnam were over, many grunts were rotated back to the United States to complete their service obligation or be discharged and become civilians again. Today, Grunt has become a term of affection and respect for the hardships suffered by soldiers who performed their duty under difficult circumstances. Inspired by realtime Vietnam War photos, Vladi sculpted a series of Grunts. First figure of the series is B6-35304 Grunt(1) Joe Boonie Rat. Kit content comes well packed in standard cardboard box of the company labeled with a photo of the assembled and painted figure. Body part and others like head, arm and rifle are seperately inserted into transparent zip-lock bags. Casting is clean with no mistakes or air bubbles and details are very sharp. A fast cleanwork will be needed to get rid of the slightly visible seamlines before priming. Sculpted in 1/35 scale by Vladimir Demchenko on a standing with his rifle, figure is cast on resin and comes in 4 parts. Body ; He wears typical U.S. Army Vietnam 3rd Pattern Tropical Jungle Uniform Jacket with two chest and two lower bellows pockets - all with flap covers. 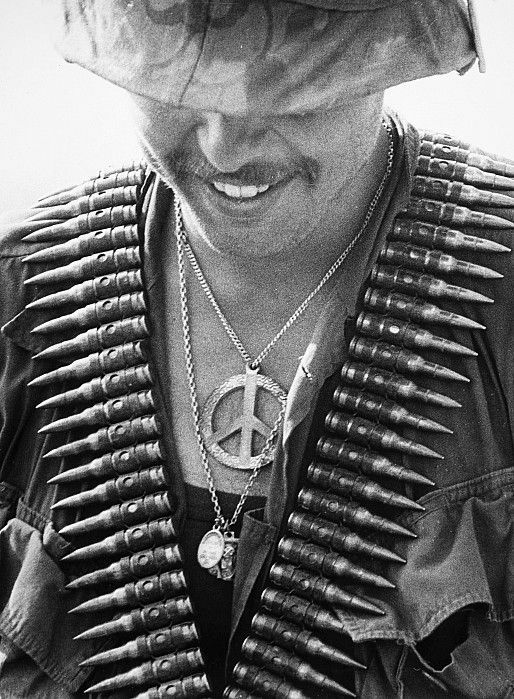 The sleeves of the jacket are ripped off and buttons are untied in front showing his Peace necklace. He has Trousers with two rear and two bellows cargo pockets on both sides. There is a rip on the left knee. Trotters inserted into canvas-leather combined Vibram jungle boots. As in all Vladi’s sculpts, half or fully loaded pockets, folds and wrinkles look very realistic. Head; Facial details are well defined showing alikeness to the reference photo. He wears a Boonie Hat with an Infantry patch sewn in front. Arms ; Left arm cast on the body is posed to put his hand on his waist and right arm is given as a seperate part to hold his rifle. Rifle ; He carries M16A1. Right hand is cast on the forestock. Another unique figure for Vietnam War dioramas which will make a great scene with other Grunts - 35305 and 35306. Highs: Nice pose, sculpt and cast.Ease on assembly with less parts.Peace necklace and ripped off sleeves add realism. Verdict: Nice posed Grunt for Vietnam Scenes.